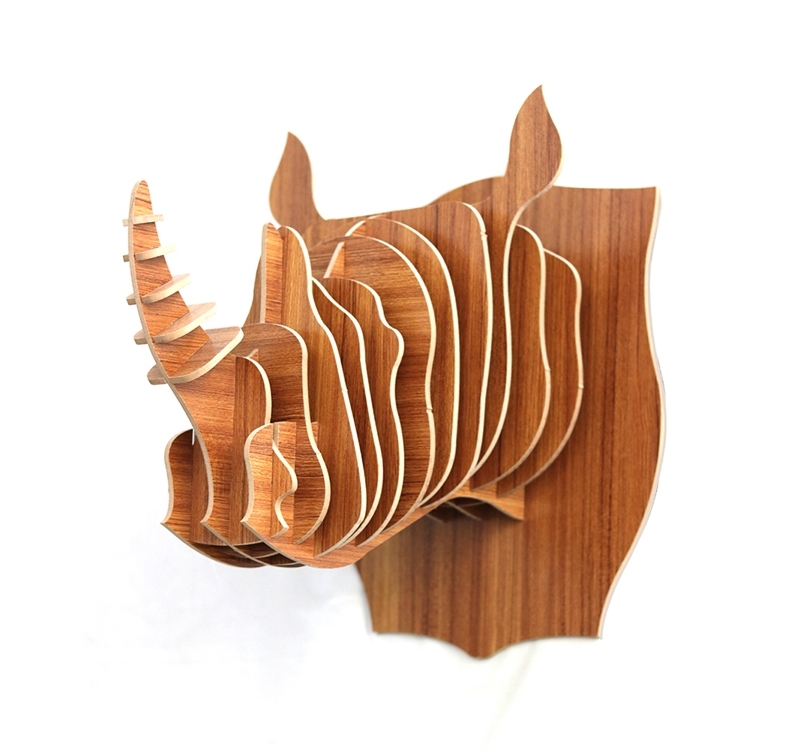 Look out for the charge of this rhinoceros design wall trophy ! 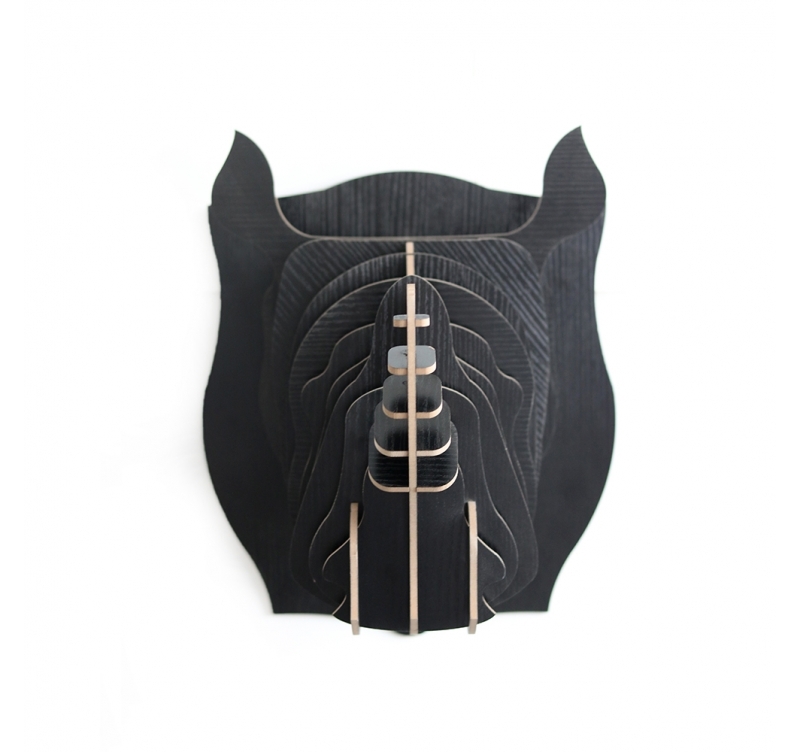 This design wall decoration is entirely hand made. The dimensions of this design wall decoration are 45 x 26 cm. This modern wall decoration is delivered free in metropolitan France and Belgium. 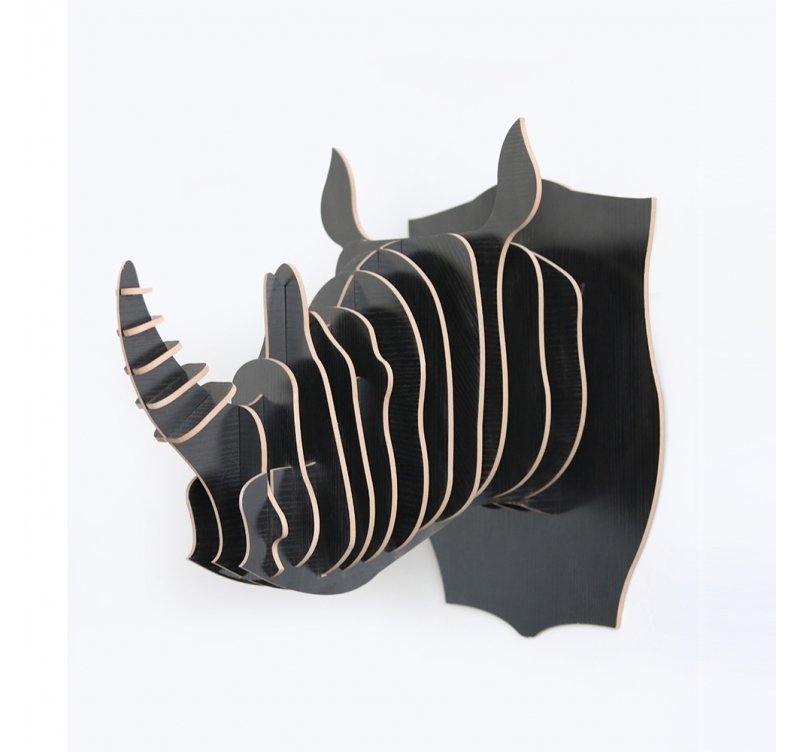 With an easily identifiable horn, the ferocious rhinoceros invites itself as a contemporary wall trophy in your interior ! 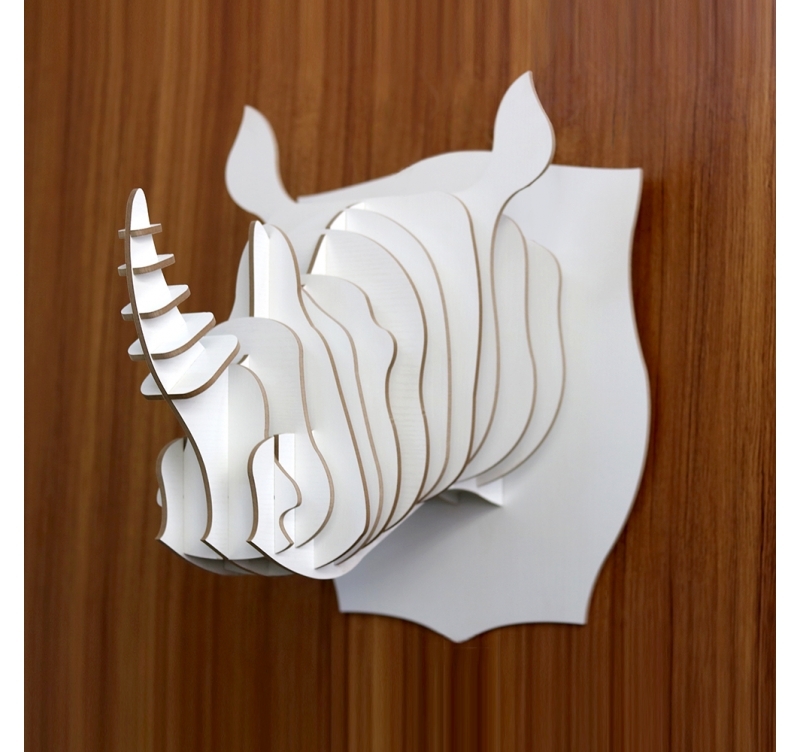 As imposing as the animal in reality, this deco wall head will give relief to your home or apartment while keeping the nature side that characterises it so well. 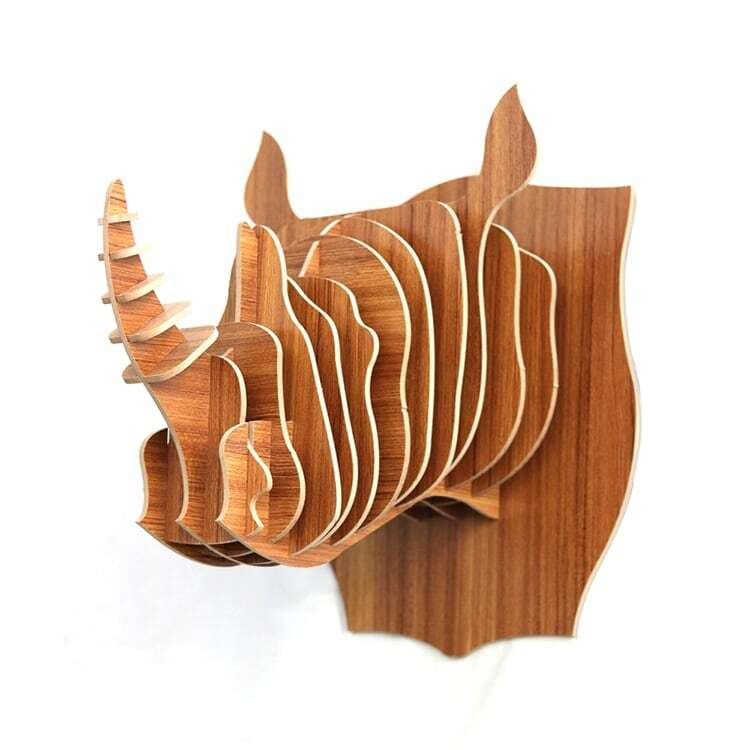 To decorate at best your walls or children’s bedroom we suggest you hang up this wood wall decoration with other decorative pieces thus stressing the volume of this design rhinoceros. 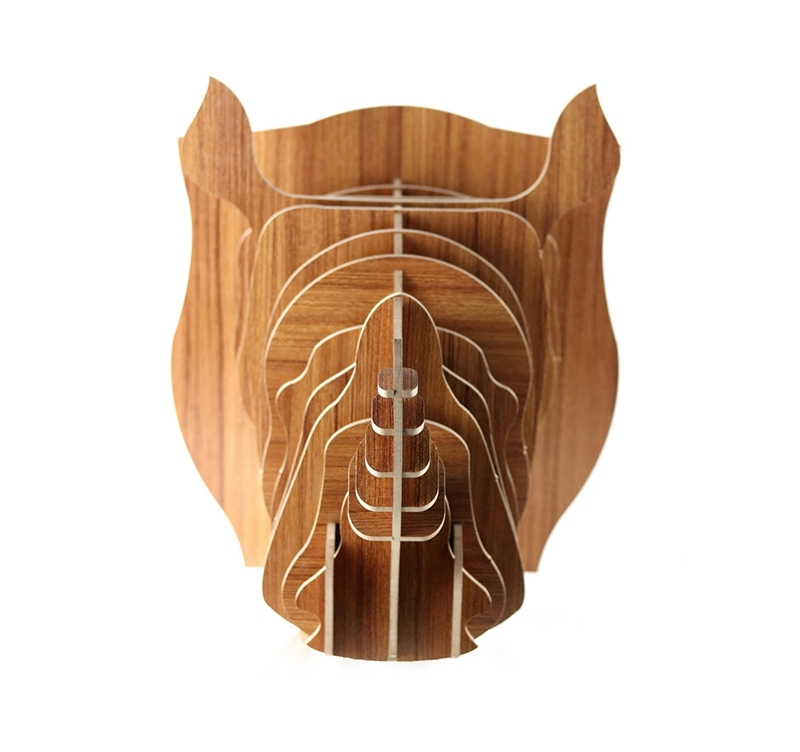 Coming in different wood colours you can easily put the pieces of this wood wall trophy together in a few minutes and hang it up directly thanks to its integrated hanging system. 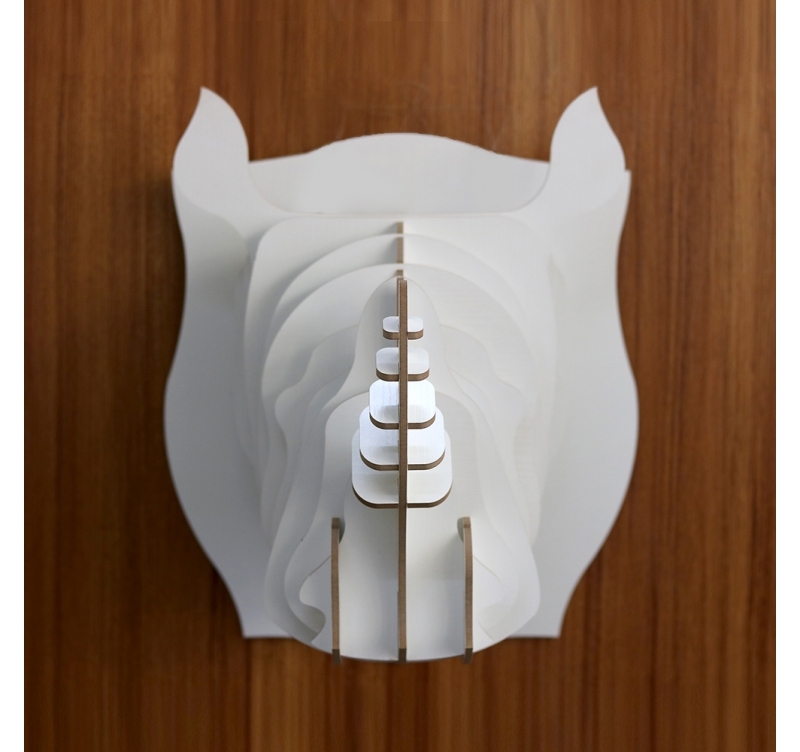 You can find several modern animal heads in our collection of wood wall decorations such as horses or even unicorns. This rhinoceros deco head is delivered in its Artwall and Co personalised box with instructions of use.